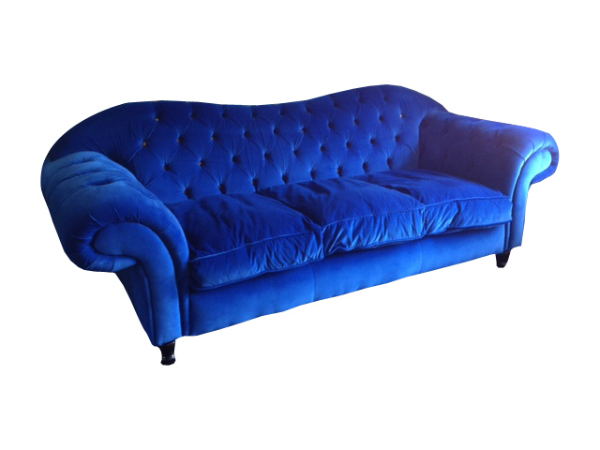 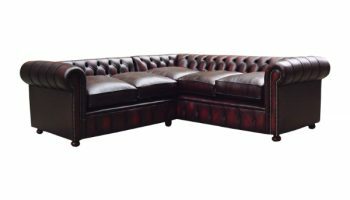 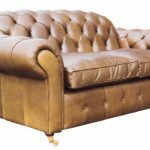 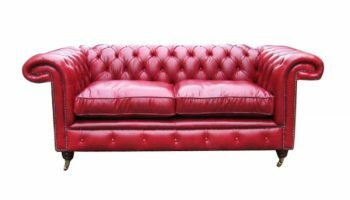 Bradman Chesterfield | The Handmade Sofa Company, handmade sofas Dorset. 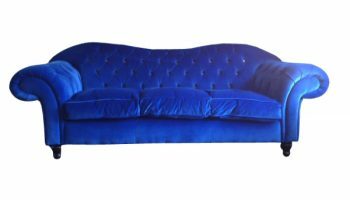 Not a Chesterfield in the strictest sense of the word but more of a variation on the theme. 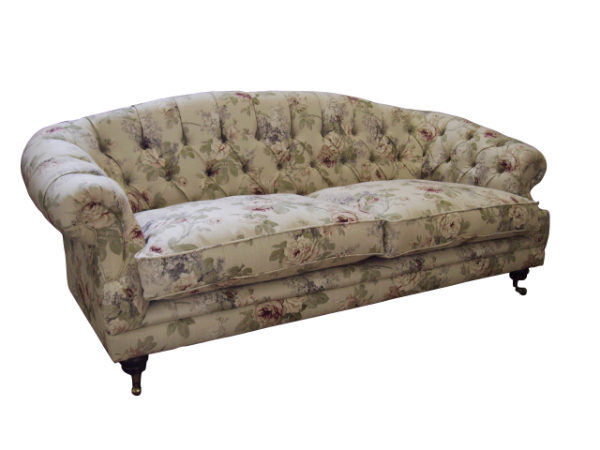 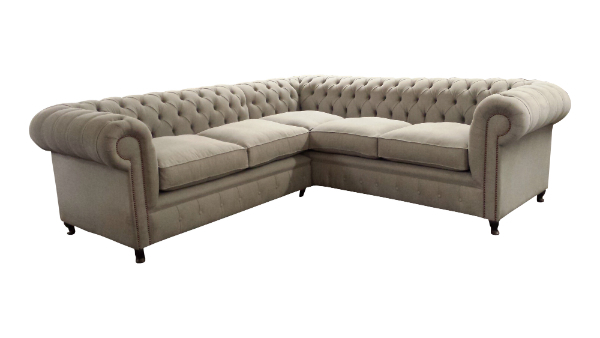 This sofa has a very deep seat (c.71cms) with flared arms and finished with tradional bun feet. 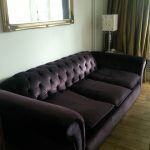 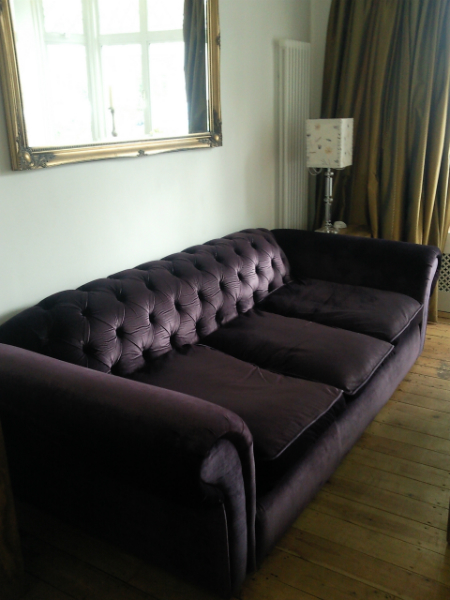 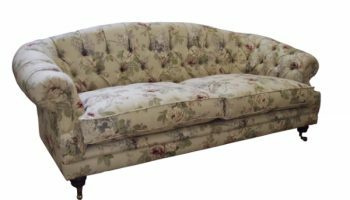 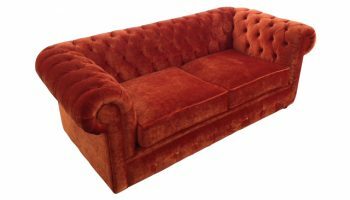 Availability: In stock Size: N/A Category: Chesterfields. 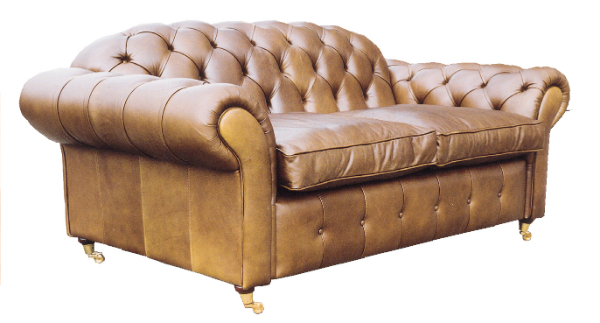 Tag: Chair.